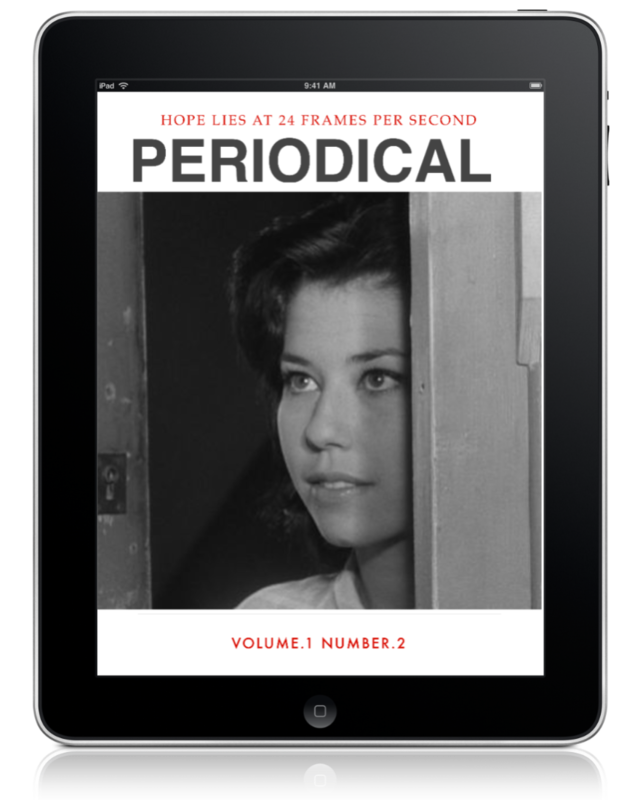 The second issue of Periodical, our iPad-orientated digital film journal is finally live on iTunes! 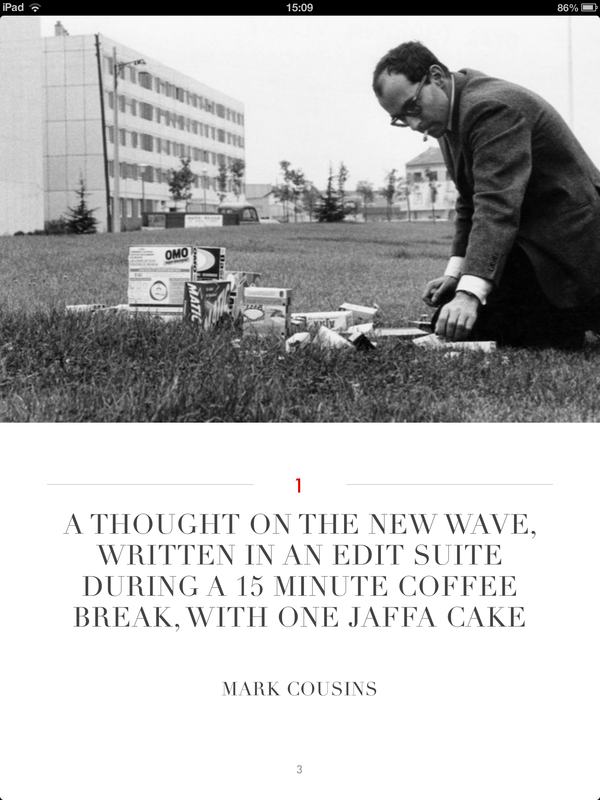 This issue the focus is on New Waves in cinema, with a plethora of fantastic writers coming together to produce over 30,000 words across 100 advertisement-free pages! We’ve assembled quite the team of contributors for our second issue, with Craig Skinner offering up an insightful piece on the Japanese New Wave of the 1960s, Phil Concannon writing on the current Iranian cinema, Ryan Finnigan tackles the Czech New Wave and Mark Cousins covering all bases with a broad overview and introduction to the concept of a New Wave. 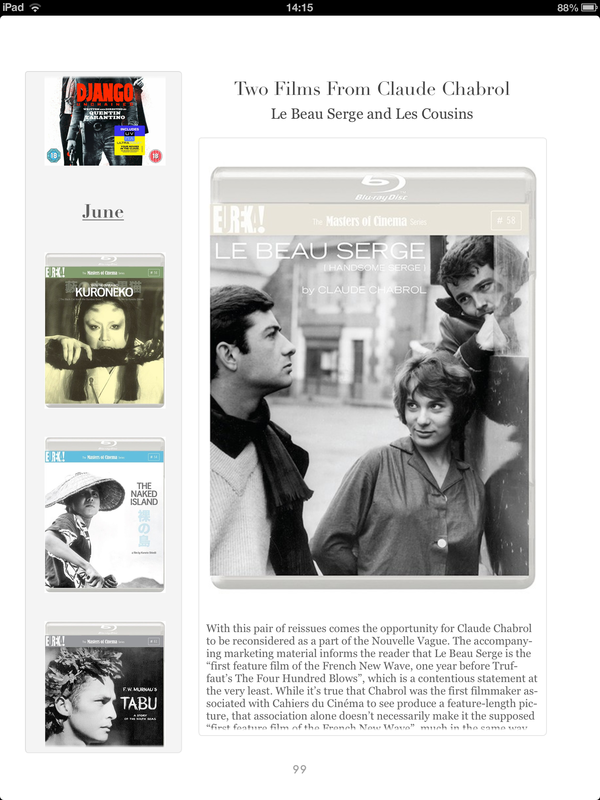 An academic text on Richard Brooks’ Looking for Mr. Goodbar from Anglo-American writer Christina Newland is complimented by a wider piece on the New Hollywood from Craig Williams, while New Yorker Marcelline Block has written a companion piece to my own broader examination of the French Nouvelle Vague, as the two of us approach the New Wave that started it all. 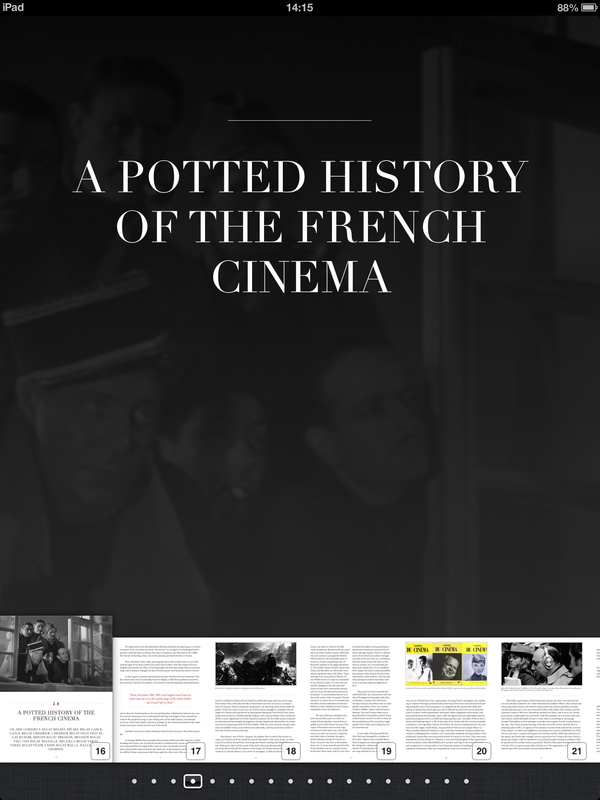 Extensive reviews of contemporary features also line the pages of Periodical #2, with critiques of Olivier Assayas’ Something In The Air, Derek Cianfrance’s The Place Beyond The Pines and Terrence Malick’s To The Wonder offered up, and an extensive section celebrating home video also present, which is headlined by an interview with Bruno Dumont, marking the arrival of his Hors Satan on DVD, courtesy of Martyn Conterio. I’m really excited by what we’ve produced, and can’t thank everyone who has taken the time to make this issue as great as it is enough. Due to a number of requests we’ve also produced a non-iPad version of Periodical, which is something of a compromise due to the amount of iPad-centric interactive bits on the full version, but a “proper” Android version is something to work towards. Further information on that version can be found by clicking here. It’ll work on any Android device, desktop computer, mobile phone. Supplements for Periodical 2 can be found here. Here are a couple of screencaps from Periodical #2. Click on them to see them in all their splendour.